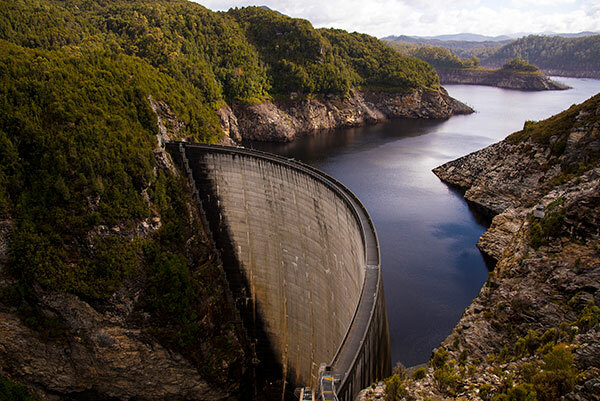 Just 2 hours drive from Hobart, Strathgordon offers brilliant natural experiences in the Tasmanian wilderness on the banks of Lake Pedder, Australia’s largest freshwater laake and offers adventure experiences such as the world’s highest abseiling experience! Spectacular landscapes of the area are packed full of adventure activities. It’s where civilisation ends and the wilderness begins. Vast expanses of water, lush islands brimming with life, rugged and handsome snowy peaks in the distance and of course a sense of calm and tranquility. There are plenty of things to do other than admire the incredible scenery. 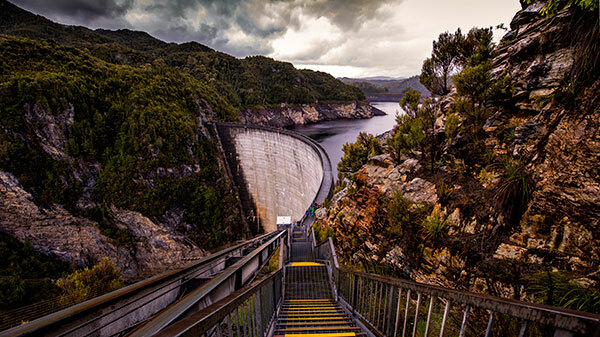 Many walking trails surround the lake’s edge and explore the surrounding wilderness as well as the enormous Gordon Dam wall. 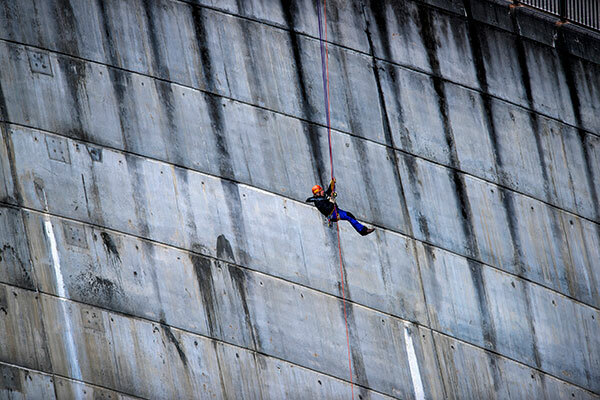 This is where you’ll find the world’s highest abseiling experience, the engineering marvel which holds the water of the lake back makes for the perfect vertical surface. Make sure you check out the size of the 2000 year old Huon pine stump which is located at Pedder Wilderness Lodge near the dam wall. 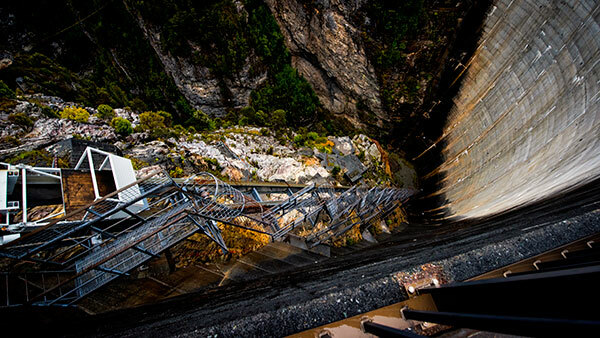 Discover the old town and it’s engineering history, as well as the original Lake Pedder with it’s incredible pink beach of quartz sand. If you want to make a weekend of it accommodation is available at full-service chalet and in self-contained units. The drive to get there is spectacular in and of itself, taking you through some scenic country.